What delivery method works best? The answer isn’t as black and white as you’d think. Every person is different and thus the way you take CBD will affect how long it takes to find relief and it can vary from person to person. The good news is that it does work so finding the best delivery method for your unique situation is not that difficult. The main factor in this timeline is the delivery method- how you ingest the CBD. Inhaling CBD oil through vaping or dabbing is the quickest way to experience relief because it enters your blood directly through your lungs. You should start to feel the calming effects of the oil in minutes – 5-10 for most people. CBD oil can be added to food and is a great alternative if you prefer not to vape or inhale the oil. But there’s just one drawback to eating CBD: The effects take longer to kick in. The body has to go through the lengthy process of digesting and absorbing the food before you can start to feel its effects. Depending on your metabolism and the health of your digestive system, you might feel the effects in just 20 minutes. Most people won’t feel anything for 60 minutes. You’ll feel the effects much faster if you eat the oil on an empty stomach. If you’ve just had a big meal, expect to wait a long time to see results. While it takes longer to kick in, there are some benefits to eating CBD. You don’t have to worry about pesky side effects like dysphoria or headaches. Taking CBD oil sublingually, or under the tongue, is the second-fastest way to find relief. In this case, the oil is placed under the tongue, where it’s absorbed into the bloodstream pretty quickly. Sprays are the easiest way to take the oil sublingually. 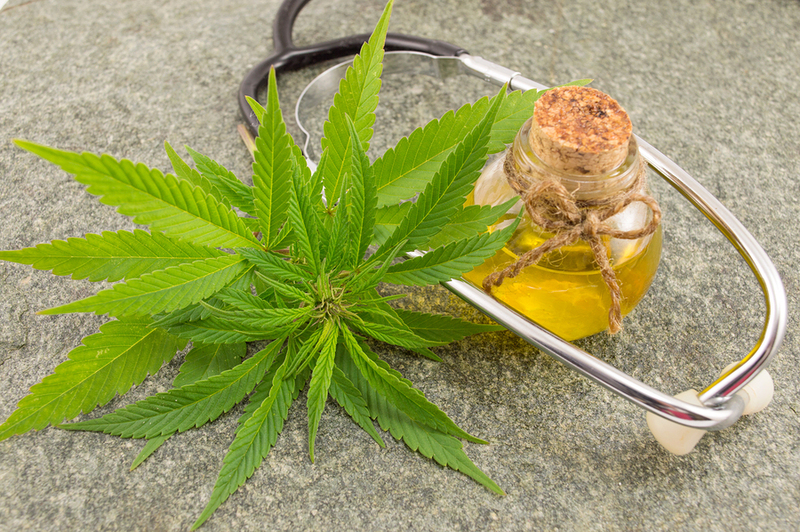 CBD oil can also be taken topically in the form of a cream or other topical solution. The absorption rate with creams is also on the slow side, but you do get the added benefit of keeping your skin moisturized. The effects also last longer because the CBD is absorbed through the skin slowly over time. When should I stop increasing my dose? How long should I go between doses? You’ve just taken CBD oil. When should you take your next dose? That depends on your body and your needs. Pay attention to your body. If you feel your symptoms returning, there’s a good chance that the oil’s effects are wearing off. If you’re vaping CBD or taking it sublingually, the effects should last a few hours. If you’re ingesting the oil, the effects should last for four to six hours. In either case, CBD’s effects are pretty long-lasting. You won’t have to carry it around with you everywhere and take it every hour on the hour to enjoy relief. Still, timing your doses may require a learning curve. You may have to try different time intervals over the course of a few days or weeks to find a schedule that works for you. Just be mindful of the possible side effects and try to avoid taking too many doses too closely together. You may wind up just wasting oil by taking several doses in rapid succession. About 40 million adults in the United States alone suffer from an anxiety disorder. If you’re looking for relief – you’re not alone. And CBD oil can help. CBD helps ease anxiety in a few ways. It makes the brain more receptive to serotonin, and it helps boost neuron regeneration in the hippocampus, or neurogenesis. Neurogenesis has been shown to be a successful treatment in depression and anxiety. New studies support the effectiveness of CBD in treating anxiety. While doctors don’t know for sure why CBD oil helps with pain, they think it’s because CBD interacts with brain receptors and the immune system. The receptors in your brain receive chemical signals that trigger a response from your cells. This is what creates the painkilling and anti-inflammatory effects. One last important note: Make sure that you buy high quality CBD oil. The effects will be more potent and come on more quickly if you use the highest quality oil you can afford. Look for reputable vendors that manufacture their oil in the United States.